Buyers financing fell through! Great home in Winter Park!! This welcoming home offers so many special touches! The beautiful exterior and landscaping set the stage as you enter this home. The open floor plan with hardwood floors features a large kitchen with lots of cabinets and counter space, large great room and a dining room with french doors that open to a spacious covered screened patio which overlooks the expansive fenced in yard. Two bedrooms offer lots of natural light with large windows. The over sized garage has you covered for parking and plenty of room for storage!! Some recent updates include new septic in 2016, roof 2011 and re-plumbed interior. This CBS home offers a transferable termite bond and transferable home warranty. Don't wait, come see this amazing home today. Copyright © 2019 Mid Florida MLS. All rights reserved. The data relating to real estate for sale on this web site comes in part from the Internet Data Exchange Program of Mid Florida MLS. Information provided is for consumer's personal, non-commercial use and may not be used for any purpose other than to identify prospective properties consumers may be interested in purchasing. 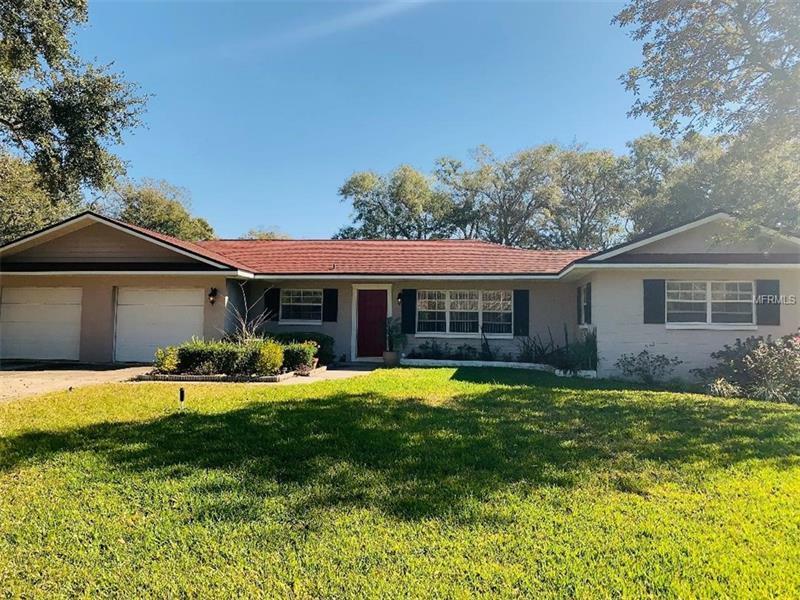 Winter Park Land Company participates in the MFRMLS Internet Data Exchange (IDX) program, allowing display of other MFRMLS broker's listings on this site. However may not include all listings currently available. Information is deemed reliable but not guaranteed. Information last updated at 2019-04-23 16:03:29.